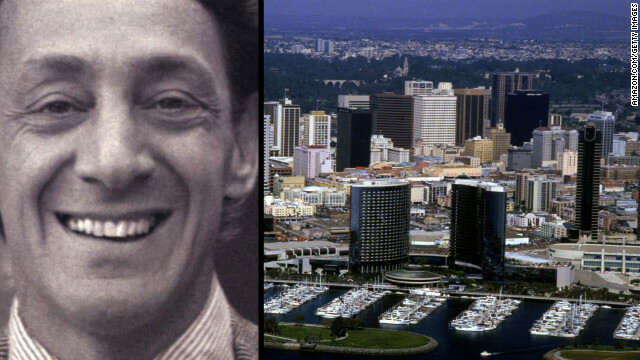 San Diego might rename a street in a historically gay neighborhood for the slain gay leader. The San Diego Planning Commission, a seven member body responsible for recommending changes to the city’s General Plan and its neighborhood community plans, has approved a proposal that would change the name of Blaine Avenue in the historically LGBT neighborhood of Hillcrest to Harvey Milk Street, in honor of the slain gay civil-rights leader who was the first openly gay man to be elected to public office in America. If, as it is expected to do, the San Diego City Council votes to approve the commission’s recommendation to go forward with the name change, San Diego will be the nation’s first home to a street named after Milk. Because the advent a major U.S. city renaming one of its streets in honor of Milk is likely to happen in San Diego first, there is reportedly some ire among civic leaders in San Francisco, which currently has no such avenue, boulevard or street. Milk was assassinated in 1978 along with Mayor George Moscone by a disgruntled former fellow supervisor who had only days earlier resigned from the San Francisco (combined city and county) Board of Supervisors. They're naming it after Harvey, not YOU. Perfect choice. I hear a lot of people get rear ended on that street. It's hard for me to find the words to adequately express my disdain for your comment and entire line of misguided logic. To distill it for you in a way that you might grasp..."Some people are gay. Get over it." I agree. That, or Centre Street. I think they chose Blaine Ave. because it would have less of an impact, and would still have placed it near the community center there. I always thought of Hillcrest as more of a university/hipster place (such as *that* is in San Diego), rather than a primarily LGBT place. Has that changed? Hillcrest has been gay for atleast a decade. Hillcrest is pretty LGBT. I'd apply hipster to Adams and Kensington. Hillcrest has been LGBT since before LGBT was a common acronym. They should name a whole city after him. He means alot to all of us gay closeted Arabs. He was and remains an inspiration to all of us. Some honor... Blaine Avenue is an absolutely obscure four block long street that virtually nobody knows about unless they live in the area – it's also at the very end of Hillcrest, with no real connection – kind of a neutral zone between neighborhoods. The only claim to fame that Blaine Avenue has is it's the little street at the side of the post office where the drive-up mailboxes are. There are definitely more visible and notable streets – say, Robinson, or others, where the name change would be more visible to the broader community as well as Hillcrest and North Park Residents. By the way, if you're in the Hillcrest Area, Babycakes on 5th Avenue has the best cupcakes in town (by far) and great coffee, plus an awesome brunch and lunch menu too. I'm not affiliated with Babycakes, just a big fan, and it's in the area. So it goes a way that most people don't go, and ends up in a seedy back end. Hmmm. As a Canadian viewer I believe that Harvey Milk was a great humanitarian and activist and paved the way for the rest of us in North America. I saw the movie MILK and Sean Penn rightly deserved and won the Oscar for his excellent portrayal of the one and only Harvey. So glad that they are naming a street after him in San Diego. But we really need a National Holiday in honour of this unique trailblazer. Someday!!! (Loved the photo of his wry, happy, smiling face, as usual. Great! Pity we can't indicate when we approve of these messages with a click, for Mr. Ouellette's post would earn mine. A good and decent man, taken from us far too soon. As a dedicated punster, can I ask for "Harvey Milk East Way"? Then we could go to a Harvey Milk E. Way bar and hoist a few in his memory. Good for you SD, I live in SF and we have yet to name a street after him, maybe part of the Castro? It's all so sad, but I really dug Harvey! Hope it all gets worked out before it all turns to milk-toast.. I lived most of my adult life in the San Diego area and I must say this act makes me truly proud of the city. I met Harvey buying film in his Castro Street camera shop. Always nice to everyone is how I remember him. His bravery of being openly gay, and running for public office. That took guts. Harvey was a true American, insisting on equality for everyone. Thank you San Diego! In SF, we have a Muni Station, Elementary School and a Day (his B-day named after Harvey.